Although modern roundworms, fruit flies and humans are separated by hundreds of millions of years of evolution, all three species use many similar molecular strategies to control cell growth, development and function, according to new research conducted by University of Washington researchers working in collaboration with scores of scientists from around the world. “If features of the genomes of these very disparate organisms are the same, it is likely those features are very important and fundamental to cell function,” said Robert Waterston, UW professor and chair of genome sciences, who is a co-author on three of five papers on the research appearing in the Aug. 28 journal Nature. “That these clusters appear across species suggests that they are very ancient. Organisms don’t generally reinvent the wheel,” scientist Bob Waterston said. The papers are the result of a federally funded effort to understand the structure and function of the genomes of two organisms long used in biomedical research, Drosophila melanogaster, the common fruit fly, and Caenorhabditis elegans, a 1 millimeter-long, soil-dwelling roundworm, and to correlate those features with those of the human genome. The Human Genome Project, which worked out the DNA sequence of the 3 billion-molecule-long human genome, confirmed that only a small percentage of the genome, about 1.5 percent, actually contained genes, the stretches of DNA that contain the coded instructions for assembling proteins. The role of the rest of the genome was largely unknown. Many assumed that large stretches of this were made of useless junk DNA, perhaps remnants of ancient and now defunct genes and viral genes inserted into the genome long ago. That view was challenged by the findings of ENCODE (Encyclopedia of DNA Elements), a project funded by the National Human Genome Research Institute (NHGRI), that found that much of this so-called junk DNA had a biochemical function. They also found that the human genome contained an incredibly complex system consisting of hundreds of thousands of molecular switches that controlled protein synthesis by regulating which genes were decoded. Many mutations involving these regulatory switches are now believed to play a role in a wide variety of diseases, including cancer. (Click to enlarge.) Caenorhabditis elegans is a 1 millimeter long soil-dwelling roundworm. To better understand how genomes worked, NHGRI funded the modENCODE project (model organism ENCODE), an effort to decipher the structure and function of the D. melanogaster and C elegans genomes and to compare them with the human genome. The new papers report the latest findings from analyzing and comparing the ENCODE and modENCODE data. Much of the work required extremely detailed mapping and annotating of these regulatory sites outside the protein coding genes. In one paper, a team led by Waterston and Michael Snyder, professor and chair of genetics at Stanford University, mapped where nearly 100 regulatory proteins, called transcription factors, were bound to the C. elegans genome. The team identified nearly 400,000 binding sites. “Four hundred thousand is a lot of switches for regulating only C. elegans’ 20,000 genes,” Waterson noted. The researchers also looked at how binding patterns varied in different cell types and tissues and how they changed at different stages in the worm’s development. Through development, extensive regulatory rewiring takes place, with regulatory factors changing binding targets at different stages, the researchers found. All told, there are about 700 transcription factors, so working out how these regulatory networks function is likely to take years, Waterston estimated. To use the instructions stored in DNA code, a cell must first make a version of it in RNA, a process called transcription. RNA transcripts may contain instructions for synthesizing proteins, but they can also act directly to regulate cell function. A transcriptome is a catalog of all RNA transcripts in a cell or organism at a given time, which reveals what areas of the genome are being expressed at that time. 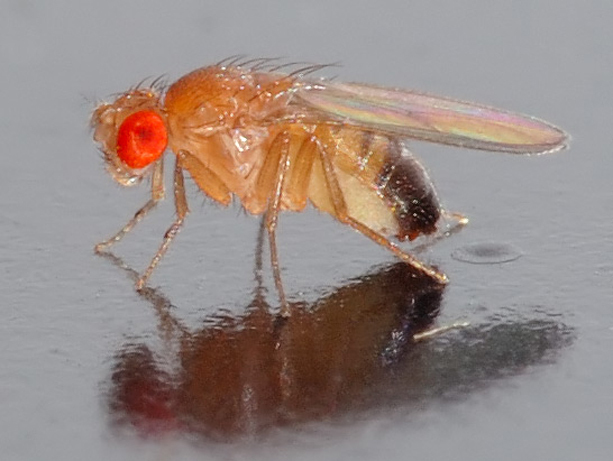 In another study, researchers compared the RNA transcriptomes in the worm, fly and human. Among the findings of the transcriptome study was the discovery that certain groups of genes tended to be expressed at the same time, in particular at key stages of the organisms’s development. This coordinated timing suggesting they work in concert as modules. What’s more, similar modules appeared to be activated at the similar stages in both the worm and fruit fly. “That these clusters appear across species suggests that they are very ancient. Organisms don’t generally reinvent the wheel,” Waterston said. William Stafford Noble studied chromatin's variance across the species. A third paper compared how structures called chromatin, which can control access to the genome, influence gene expression – the decoding of information contained in DNA. Here, too, the researchers found that many features of chromatin were conserved across species, though there were also notable differences. The findings indicate that there is a single universal model that, based on the patterns of histone-binding seen across humans, flies and worms, can predict gene expression, Waterston said. William Stafford Noble, professor in UW’s Department of Genome Sciences and Department of Computer Science and Engineering, was a co-author of the study. “The modENCODE research demonstrates that you can use worms, flies and humans together to uncover the very fundamental principles of gene regulation, to identify common core processes in cell development and function, and to understand how complex network of switches controlled by transcription factors and chromatin structure regulate cell development and function,” Waterston said. Read the papers in Nature representing UW researchers' work.